A new study shows 43 percent of U.S. consumers – around 29 million people – are carrying credit card debt that is at least two years old; another 15 million have credit card debt that is at least five years old. The CreditCards.com report paints a grim picture of consumers’ ability to pay down credit card debt, especially in light of recent findings which showed that consumers racked up $60 billion in new credit card debt in the second quarter. “Carrying credit card debt is a slippery slope. What may seem inconsequential at first can quickly grow into overwhelming debt,” said CreditCards.com senior analyst Matt Schulz. The findings show that older consumers are especially prone to carrying credit card debt over long periods of time. 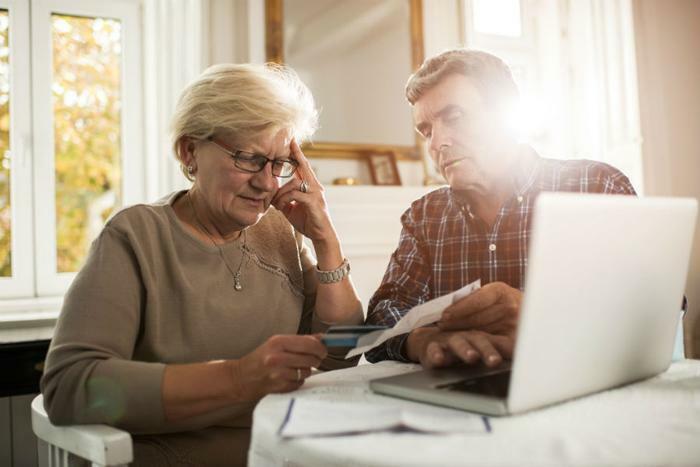 Older Baby Boomers (aged 63-71) were the most likely group to carry credit card debt for at least two years (63 percent) followed by members of the Silent Generation (aged 72+, 57 percent). Overall, the report showed that over a quarter (28 percent) of Americans carry a credit card balance from month to month. Gen Xers (aged 37-52) were the most likely group to carry any kind of credit card debt (36 percent), followed by younger Baby Boomers (aged 53-62, 33 percent). A common misconception is that consumers are accruing credit card debt by splurging on big ticket items, but the report finds that most people are falling behind by using plastic to meet day-to-day expenses. Schulz points out that the best way to avoid longstanding credit card debt is to not let things get out of control in the first place. “Bottom line: stick to your budget and only charge what you know you can pay off each month,” he said. However, there are safe ways that consumers can cut their credit card debt and rebuild their credit scores. A good first step is to seek help and advice from a non-profit credit counselor, who will help review your income, expenses, and debt so you can establish a household budget. Consumers should also get into the habit of paying off their credit card bills in full each month. If you have accrued a large amount of debt over time, you should also make a small payment against the balance in order to gradually reduce it.